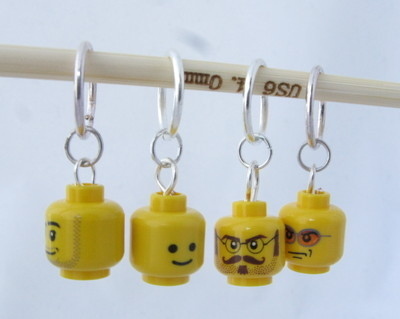 These stitch markers are made with genuine Lego heads. 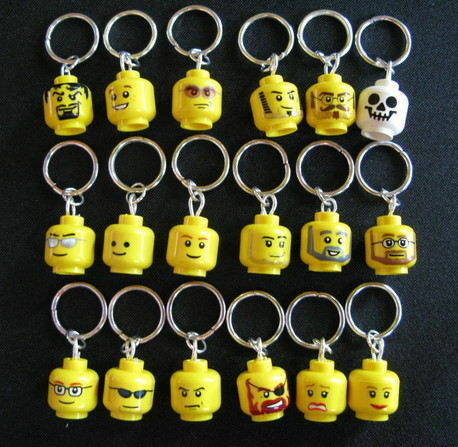 Each listing is for a set of four markers and each set will include a random selection of heads. If there are specific faces that you would like please leave them in the comments when you go through the checkout process. They have been carefully made to ensure your knitting doesn't snag. The markers will fit needles up to 8mm (US 11), and make a fun addition to your knitting project. These markers also can be made for crochet (removable clasp) or lace knitting (smaller ring, snag free).